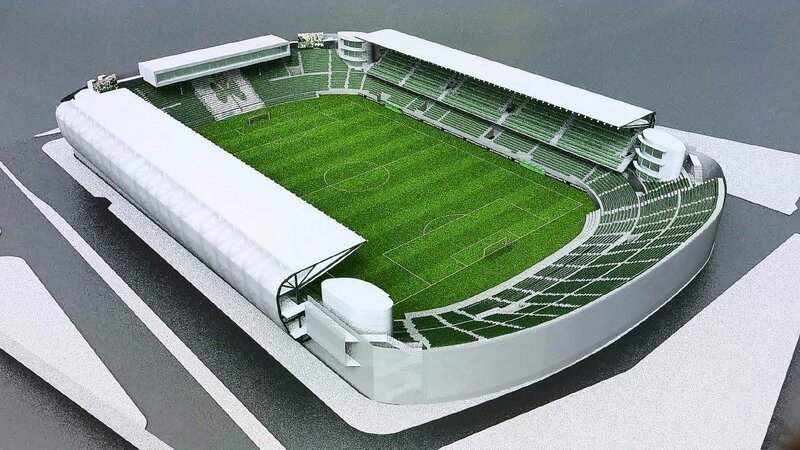 Plans of Panathinaikos include vast reconstruction of the existing stadium, after prolonged failure to deliver a brand new one in Votanikos. Works will focus on two long sides of the field, south and north. Current low stands will be topped by 14 skyboxes on each side and a brand new upper tier with 13 rows of seating. Due to extremely limited space the expansion will be based on simple steel prefabs placing fans above pedestrians outside the stadium. This way capacity can be increased despite spatial constraints by roughly 4,600 seats. Limited number of existing seats will have to be removed in the corners, where four 3-floor towers will be erected. 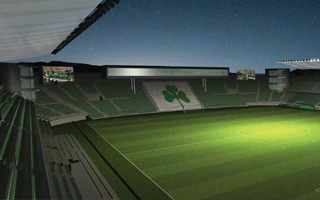 End zones won’t change significantly, though a restaurant will be mounted atop of existing west stand, providing partial cover and obstruction of view to some fans. The stand will also see giant screens added. All of the stadium will be wrapped in perforated aluminum sheet to gain a modern appearance. Works will be divided into two phases. First, the south stand will see its expansion and addition of two towers. Then, a year later, similar addition will go on in the north, along the erection of restaurant pavilion in the west. 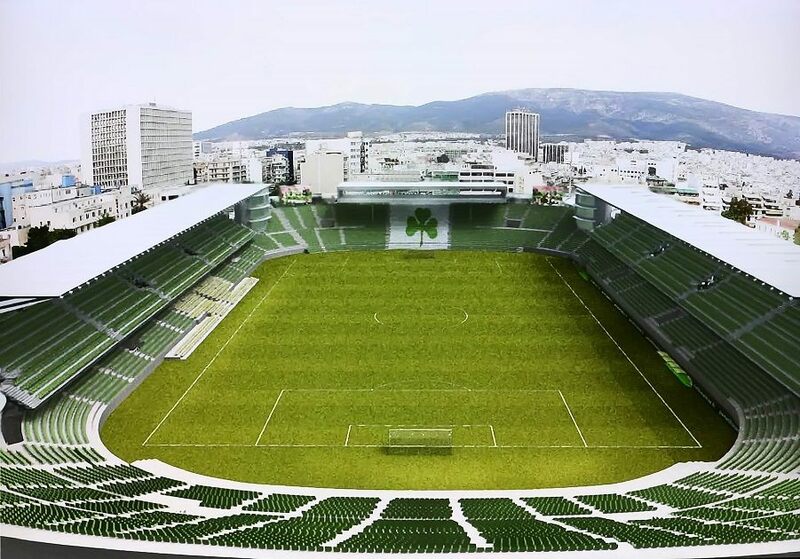 After fiasco with their last stadium scheme, after economic turmoil, now the Greek team wants to regain strength with redevelopment of their existing home.